On June 29th, 2013, Pennsylvania Governor Tom Corbett signed The Public Works Employment Verification Act No. 127 into law. This law requires all public works contractors and subcontractors within the state of Pennsylvania to enroll in and use E-Verify for newly hired employees. Click here to view our Pennsylvania public works article. 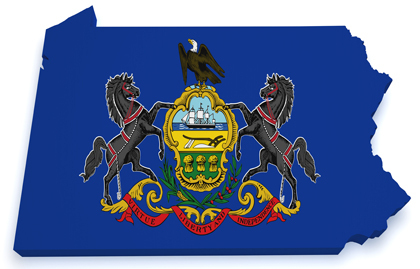 Unlike states such as Ohio and West Virginia that have no statewide E-Verify requirements, the state government in Pennsylvania has passed E-Verify legislation. If your organization does not participate in public works, then this may not be a concern at the present time. However, in most of the instances where states begin E-Verify programs, they evolve and expand. For instance, the state of Mississippi established E-Verify requirements in July of 2008 for employers with 250 or more employees, and by July of 2011 E-Verify was required for employers with fewer than 30 employees. For this reason, it may be wise to acquire a basic understanding of the structure and uses of E-Verify, or even to be proactive and integrate E-Verify into your pre-employment background screening procedure. E-Verify is a voluntary, Internet-based system that compares information from an employee’s Form I-9 to data from U.S. Department of Homeland Security and Social Security Administration records to confirm employment eligibility in the United States. Why do organizations use E-Verify? When organizations use E-Verify, they are employing a system to determine if an employee is able to work in the United States. The system was developed by the U.S. Department of Homeland Security and Social Security Administration. Companies who use the E-Verify System are adding a layer of protection that will benefit them if they should become the subject of a U.S. Immigration and Customs Enforcement (ICE) audit. Additionally, employers use E-Verify as a requirement for certain federal contracts as required by specific state laws. E-Verify is currently the only system available to verify the information provided on the Form I-9. Most discussions by legislators to enact immigration reform include a verification system and, as an existing system, it is very likely that Congress will choose to make the use of E-Verify mandatory for all employers as part of an overall immigration reform package. In addition, many states are requiring the use of E-Verify, and most other states are actively moving in that direction. Ensures compliance with specific state laws. Allows participation in certain federal contracts. Confirms employee work authorization through the only available national system. Inexpensively certifies new hire U.S. work eligibility. Establishes compliance and common practice in the event of a statewide E-Verify mandate.